The ABC-UTC strives to educate and train both undergraduate and graduate students in bridge engineering in general with an emphasis on Accelerate Bridge Construction. Part of this mission is accomplished through involvement of students in research efforts. A list of all of the undergraduate and graduate students who are currently or have been involved in the ABC-UTC is provided for each of the partner universities. The ABC-UTC would like to congratulate both Mohamadtaqi Baqersad (PhD Student, P.E.,) and Austin DeJong (M.S. 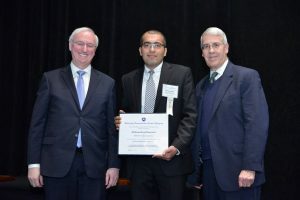 Student) for winning the 2018 UTC Outstanding Student of the Year Award. Mohamadtaqi is being awarded for his work under the 2016 UTC grant and Austin is being awarded for his work under the 2013 UTC grant. Mohamadtaqi Baqersad is a graduate research assistant at Florida International University in Miami, FL. He received his M.Sc. in Civil Engineering from Isfahan University of Technology in Iran in 2014, and his B.S. in Civil Engineering in 2011 from Yazd University in Iran. In his Master’s thesis, he worked on numerical simulation of consolidation settlement of saturated soil. He has started his PhD in structural and Pavement Engineering since August 2015. Currently, he is working on an ABC project called “Development of Guide for Selection of Substructure for ABC Projects” at Florida International University under the supervision of Professors Armin Mehrabi and Hesham Ali. This project provides guidelines for decision making by the designers and bridge owners for the selection of substructure and foundation for new bridges and replacement of existing bridges using the ABC methods, including evaluation, retrofitting, design, and construction. Mr. Austin DeJong is a graduate student in the Department of Civil, Construction and Environmental Engineering at Iowa State University working for Prof. Behrouz Shafei on integral abutment connection details. He completed a Bachelor’s degree in Civil Engineering at the South Dakota State University in 2017. Austin DeJong is from Edgerton, MN, where he was active in a number of community service activities. He is currently a member of American Society of Civil Engineers and American Concrete Institute. He has also contributed to Chi Epsilon, the Civil Engineering Honor Society, in various capacities, including treasurer, secretary, and president. The ABC-UTC would like to congratulate Evan Jordan (BS, UNR) for winning the 2017 UTC Outstanding Student of the Year Award. 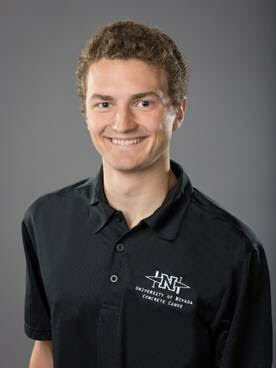 Evan Jordan is a graduate student at the University of Nevada, Reno working towards an M.S. in structural engineering. 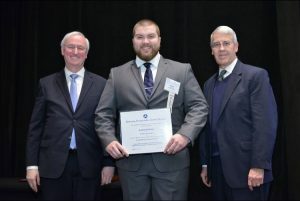 During his undergraduate career, in early 2017 Evan has held positions at both a seismic base isolation firm as well as a heavy civil contractor working on large-scale projects. He also held an undergraduate research position and assisted with the fabrication of a 75-foot length 2-span ABC bridge. Evan has been heavily involved with the student chapter of ASCE his entire higher education career, being president of the student chapter as well as being a project manager for the concrete canoe team. Evan will graduate this summer 2018, completing his thesis on “Testing Criteria for Mechanically Reinforced Bar Splices for Use in Moderate and High Seismic Regions.” Outside of school you may find Evan backpacking in the eastern Sierra mountain range. Evan graduated in May 2018 and is now employed at Magnusson Klemencic Associates, a structural engineering design firm in Seattle, Washington, as a structural engineer.